IN THE late 1980s, my secretary told me that the Deputy Chief of Staff wanted to see me. That was rather surprising. The army command was not on friendly terms with my paper, Haolam Hazeh. For dozens of years, we had been officially boycotted by the army, after publishing a story which the then Chief of Staff considered insulting. So I was curious when I entered the Deputy’s room. His name was Ehud Barak, and I had never met him before. Our conversation turned quickly toward European military history. I was quite surprised. In general, Israeli military chiefs are technicians, not theoreticians. But, since military history happens to be a hobby of mine, I was glad to discover that Barak was quite an expert on the subject. Thus, conversing happily about the 30-years war, I was waiting for him to bring up the matter for which he had invited me. But the time passed and no other matter emerged. There was no other matter. EHUD BARAK was an unlikely soldier. Once his brother told me how Ehud became a commando soldier: he was short and fat as a boy, so his brother had to pull strings very hard to get him accepted by the elite unit. The results were phenomenal. Barak was a daring commando soldier. He received several citations for personal bravery, commanded audacious exploits in enemy territory, advanced quickly in rank and in the end had filled almost every senior command post, including chief of intelligence, until he became Chief of Staff (the Commander in Chief of the armed forces). After that, it was natural in Israel for him to go into politics. In 1999, after joining the Labor Party and becoming its chief, he won the national elections against Binyamin Netanyahu. The joy was justified. Years before, Barak had told Gideon Levy that if he had been a young Palestinian, he would have joined a terrorist organization. Here was a new spirit. But something went wrong. President Bill Clinton called for a peace conference at the Camp David resort. There the three of them – Clinton, Arafat and Barak – were to give birth to a historic peace agreement. It did not happen. Instead of seeking the company of Arafat and airing the problems in private, Barak remained isolated in his cabin. When seated at dinner between Arafat and the young daughter of the President, Barak devoted himself exclusively to her. True, at Camp David Barak offered peace terms which went further than those of earlier Prime Ministers, but they still fell far short of the minimum the Palestinians could accept. The conference broke up without results. Coming from the mouth of the “Leader of the Peace Camp”, this turned failure into catastrophe. The Israeli peace camp collapsed. It has not recovered since. After Barak, Ariel Sharon took over, then Ehud Olmert, followed by Binyamin Netanyahu – seemingly for good. WHEN AN ordinary Israeli is asked these days “Who do you think can replace Bibi?” the almost automatic answer is: “Nobody”. The voter sees no possible successor, neither in the Likud nor in the opposition. The members of the present cabinet – male and female – are nobodies. Little politicians who are good at creating scandals and attracting public attention, but not much else. If there ever were talented leaders in the Likud, they have been removed by Netanyahu long ago. Half the Israelis believe that “Bibi” is an excellent leader. And indeed, He looks good, is a very clever politician, a wizard of public relations. He makes a good impression abroad and manages the country’s daily affairs in a passable way. Nothing could be truer. Netanyahu has all the qualifications of a Foreign Minister, but he has none of the qualifications necessary for a Prime Minister. He has no vision. No answers for Israel’s historic problems. No wish to overcome Israel’s many internal divisions. Many Israelis hate his guts. So who can replace him, even in theory? THE POLITICAL field looks like a human desert. Politicians appear and disappear. The Labor Party (in its different guises) changes leaders regularly like clothes. The glamorous new boy, Ya’ir Lapid, the creator and sole chief of the “There is a Future” party, is losing his luster rapidly. When somebody asks in a small voice: “What about….Ehud Barak?” a silence ensues. There is no easy answer. Since leaving public life, Barak has become very rich. His main occupation seems to be advising foreign governments. He lives in the most luxurious building in the center of Tel Aviv. He has no political party. Perhaps he is waiting for The Call. As a personality, there is no doubt that Barak stands out. He is far better qualified than any other Israeli politician. If a new young leader does not emerge from anywhere, Barak is the only person who could take Netanyahu on. But one feels in the air a palpable hesitation. He has no following. People admire him, but do not love him. He does not inspire trust, as Rabin did. He has open contempt for people who are less talented than he, and that is a great disadvantage for a politician. And then there is his record of past failures. In Goethe’s Faust, the outstanding work of German literature, Mephisto, the devil, introduces himself as “the force which always desires the bad and always creates the good.” Similarly, Barak is an arch-angel who always desires the good and always creates the bad. There is Camp David, of course. There was his hatred for Yasser Arafat, the only Palestinian who could have made peace with Israel. His very superiority causes a problem. It does create suspicion. When he was Prime Minister, Barak did something unique: on behalf of the government, he asked the forgiveness of the Easterners for the discrimination they had suffered. Somehow, it fell flat. No one even remembers the gesture. For Easterners, Barak looks like the typical overbearing Ashkenazi (Westerner). Bibi Netanyahu, in contrast, is adored by most Easterners, though he is and looks as Ashkenazi as anyone can. SO, COME next election, would I vote for Barak? The opportunity would arise only if Barak decides to accept the challenge and succeeds in uniting behind him all the opposition parties, which hate each other. That by itself would be a Herculean task. If that happens, I would recommend voting for him. To be honest, I would recommend voting for anybody who seriously challenges Bibi. I believe that Bibi is leading Israel toward an abyss – an eternal war against the Palestinians, a war nobody can win. WOULD I vote for Barak in spite of his record? 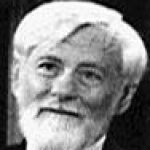 Intelligent people can learn from experience (though few do). 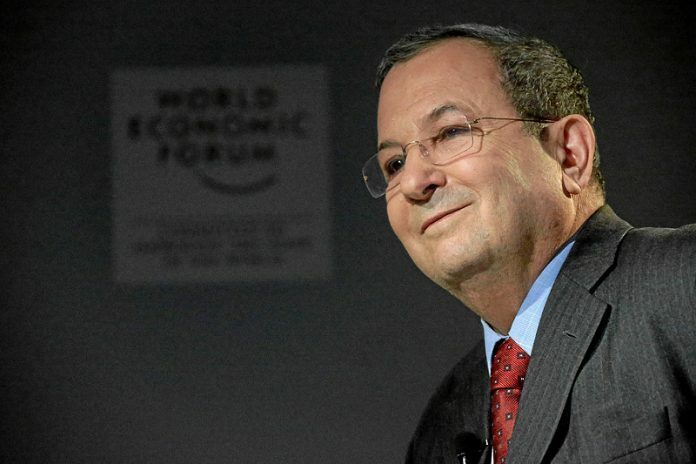 Ehud Barak is a very intelligent person.